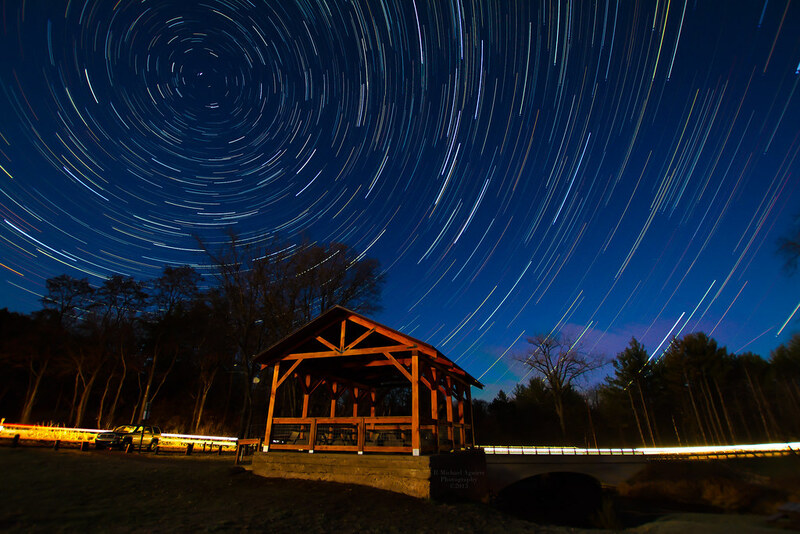 The photographer says: On a cold Fall night in Minnesota, Me & Kent Carder decided to head out to capture some star trails on a beautifully lit sky at a local landmark along the Sunrise River in Chisago County. The moon was near Full and completely illuminated the landscape as far as the eye could see. There was no need to light paint the image. Life is great when you get to go out and do the things you love to do! !